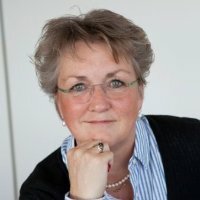 Xandra Velders (1959) graduated from the University of Amsterdam (UvA) in 1984 and achieved her PhD degree in 1989 at the Free University (VU). She accomplished the course of radiation protection expert (level 3) in 1993 and became a level 2 expert in 2006. In 2014 she completed a course in Health & Safety (HVK). Xandra is Manager EHS and Radiation Safety Expert for Mallinckrodt Pharmaceuticals in Petten. She gives lectures in radiation protection.